Peacocks have blue and green feathers that project displays of shining lights. From the pattern on its feathers, peacocks are said to have 1000 eyes, and there has been an old saying that peacocks will protect and prevent you from encountering disasters. Male peacocks will spread out their feathers in a brilliant display, to attract the females. Isn’t that interesting? 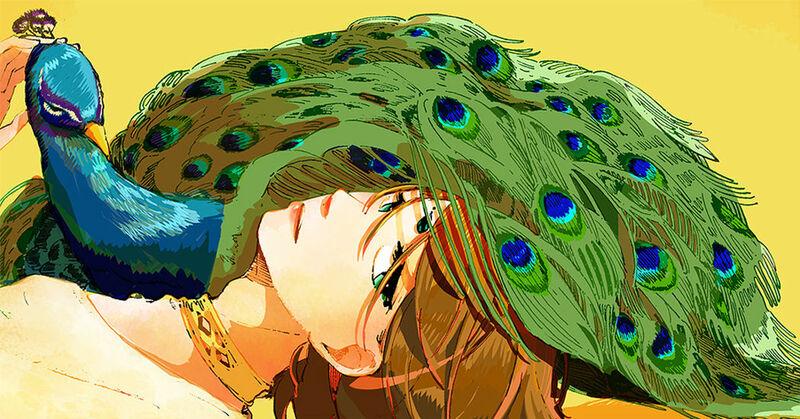 Today, we bring to you a special feature on illustrations depicting peacocks, with their stunning spread of feathers. Well then, enjoy!